Learn How to Add Professional Email Subscription Box in Blogger FeedBurner Subscribe Box for blogger blog. 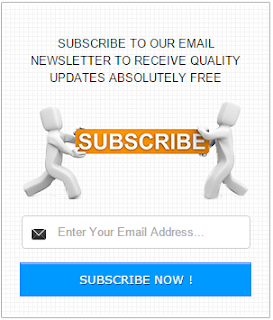 Add Beautiful Email Subscription Box in Blogger Blog within seconds. Cool and awesome subscription box widget for blogger blog. Email marketing is as important as SEO for any professional blogger, because it ensures that your blog reader, after subscribing to RSS feeds, will definitely come back to your blog. The reason behind that is when you post a new article, a notification will be automatically sent in his inbox just like Facebook notifications, saying that you have posted a new article or will show some content of your article with READ MORE button. By clicking that button, it will be opened to particular post or article. You can change these settings by logging into your feedburner account. Blogger by default has email subscription widget but that is not too attractive and does not looks like a professional widget. It looks similar to to the search bar. So in this post I will share an awesome email subscription widget which looks beautiful, awesome and gives a professional look to your blogger blog. This widget was originally shared by a website called BloggerCell. This widget will surely increase your email list and it will encourage your blog readers to subscribe for your RSS feed. As you can see in the screeenshot, its amazing. You can test it on blog page as well. When your blog reader enters his email ID and hit Subscribe Now button, a popup window will open with captcha code to control spam. And as soon as captcha code will be solved, an email will be sent automatically to that email address with unique link and after clicking on that link user will be subscribed for your RSS feed. So without wasting any time let's begin the tutorial. 3. Copy the below code and paste it in the code area. Change 299px with your desired width of the box. This is the awesome widget for your blogger blog which will give a professional look to your blog. Widget credit goes to BloggerCell, for making this superb widget. All the emails will be delivered by FeedBurner. I hope this tutorial helped you. Leave your comments below, if you have any question and do not forget to share our work with your friends.